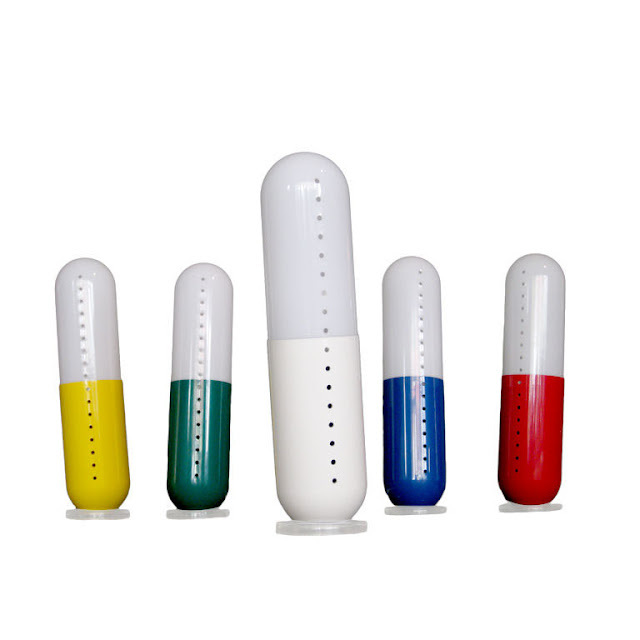 These pill-shaped lamps were designed by Cesare Maria Casati and Emanuele Ponzio. This wonderful and highly collectible set was edited in a very limited editon by Ponteur in Bergamo Italy during 1968. These invaluable lamps have become true pop-art collectors pieces. Fans of Claes Oldenburg; if you want a complete set of the Pillola lamps, check the auctions at Christies and Sotheby's. Also available through nova68.com; price upon request.